Lauren Pritchard plays the Mercury Lounge | Will You Miss Me When I'm Gone? Lauren Pritchard conquered Broadway as Lise in the fantastic original company of the Tony Award-winning rock musical Spring Awakening. On Thursday, the Tennessee native, who’s just 22 years old, returned to New York City to conquer the pop scene. 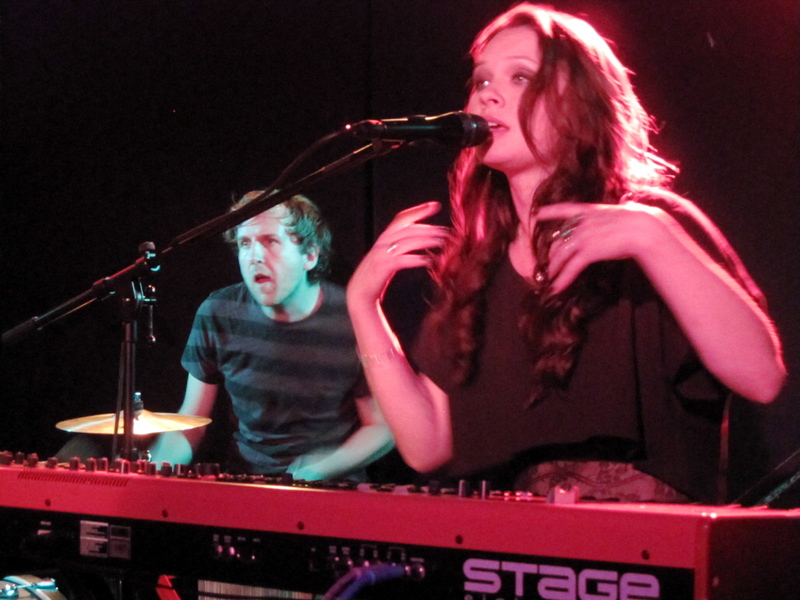 Lauren, who played keys and sang, got subtle backing from drummer Simon Lea and guitarist Paul Sayer. 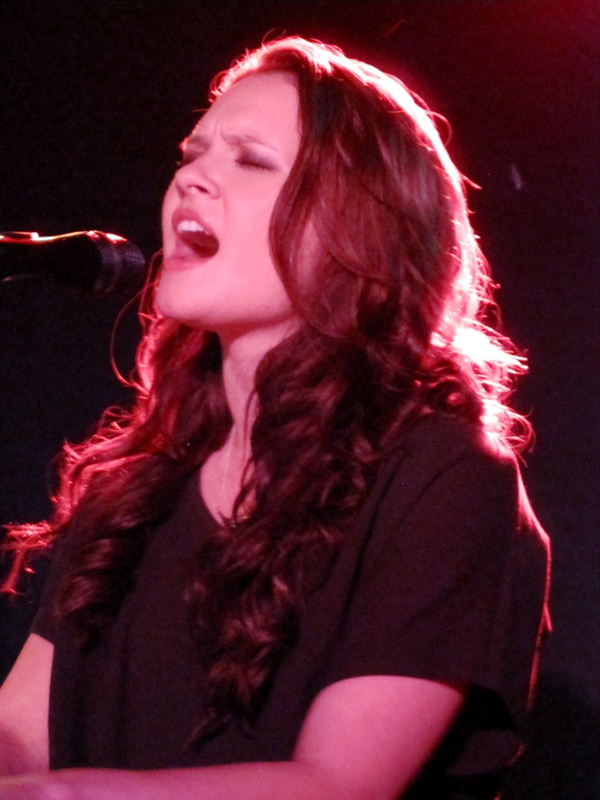 She blew the roof off the Mercury Lounge with her powerful voice. She sang a very short, showcase set —just eight songs — in a bluesey style with country touches. Her delivery was just the right balance of Broadway power and authentic saloon-singer sloppiness. At least she didn’t have to write out her dialogue! 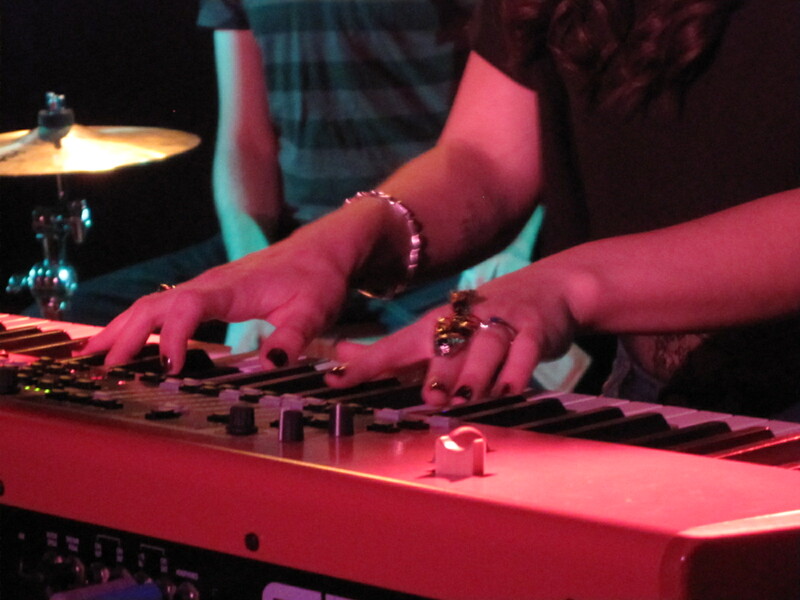 Lauren was at her best behind the keyboard, because it gave her something to do with her hands. When she stood to sing a couple of numbers, she appeared a bit uncertain about how to move. When she moved to her music she appeared to be unable to remember exactly how she wanted to move. The huge ring didn't impede her keyboard playing. 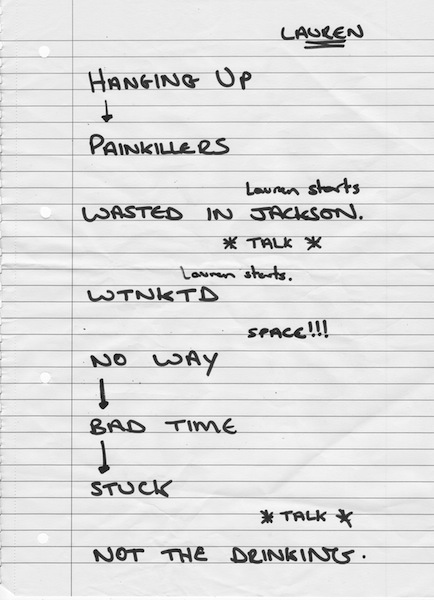 This entry was posted in Blues, Country, Folk, Music, Pop and Rock and tagged Lauren Pritchard, Mercury Lounge, Paul Sayer, Simon Lea, Spring Awakening. Bookmark the permalink.